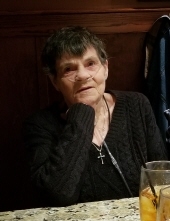 Gayle Jean Brockway, age 77 of Lenexa, Kansas passed away Wednesday, December 5, 2018 at Vintage Park of Lenexa. Funeral services will be 12PM, Saturday, December 8, 2018 at Wilson's Funeral Home in Wellsville. Visitation will be 10:30-12PM Saturday, prior to services. Interment will follow services in the Wellsville Cemetery. Memorial contributions may be made to the Gayle Brockway Memorial Fund in care of Wilson's, PO Box 486, Wellsville, KS 66092. Gayle Jean Brockway was born November 26, 1941 in Grand Forks, North Dakota the daughter of Charles Victor and Emma Helen (Peterson) Norton. She grew up in Grand Forks and graduated from high school in 1959. After high school she attended nursing school and practiced as an LPN for a short time. On March 16, 1961 she married Frank Thomas Brockway. They were married 57 years before her passing. Gayle moved with her husband and children to Overland Park in 1962. They were in the Johnson County area for many years and also lived in Wellsville in Miami County for several years. Gayle worked for the Kansas School for the Deaf for 27 years, retiring in 2007. She was an accomplished cook, loved to sew and loved going to garage sales. Gayle is survived by her husband, Frank of Lenexa; son, Steve (Mary) Brockway of Olathe; son, Charles (Tonya) Brockway of Olathe; daughter, Holly (Johnny) Reed of Belton, MO; son Ricky Dial of Olathe; sister, Deanna Hoffman of Osawatomie; 3 grandchildren, 2 step-grandchildren, 1 step great-grandson, many nieces and nephews. She is preceded in death by her parents. To send flowers or a remembrance gift to the family of Gayle Jean Brockway, please visit our Tribute Store. "Email Address" would like to share the life celebration of Gayle Jean Brockway. Click on the "link" to go to share a favorite memory or leave a condolence message for the family.